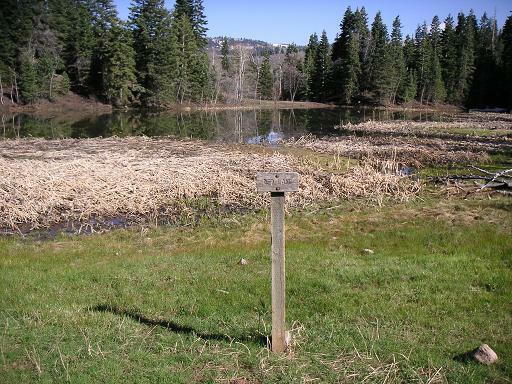 Red Lake is a very small, shallow swampy lake located about 1 1/2 miles above Maple Lake in Payson Canyon. It is located in beautiful forests of maple, oak, and other deciduous trees. Although small and marshlike, it does hold a population of stunted bluegill. You don't come here for the excellent fishing. You come here for a beautiful hike and some possible average fishing on the side. Remember if you park at Maple Lake, you need to pay the day use fee.